Arab Daggers There are 2 products. Arab Jambiya Dagger from Yemen that used to be worn on the belt. It is functional. Sheet made of high 1055 carbon steel and wooden grip. Includes leather sheath in leather with metal finishes. 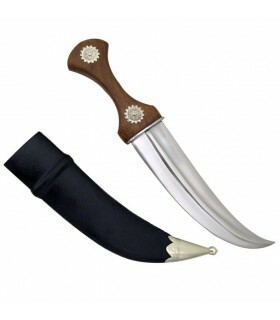 Dagger Arabic curve decorated, 34 cms. 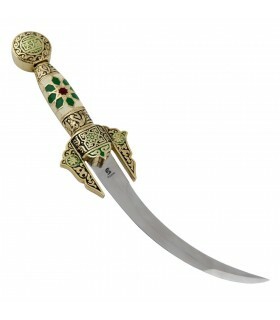 Dagger Arabic curved blade, stainless steel handle and knob decorated. Manufactured in Toledo - Spain.